I make no secret of the fact that I am a candle addict. 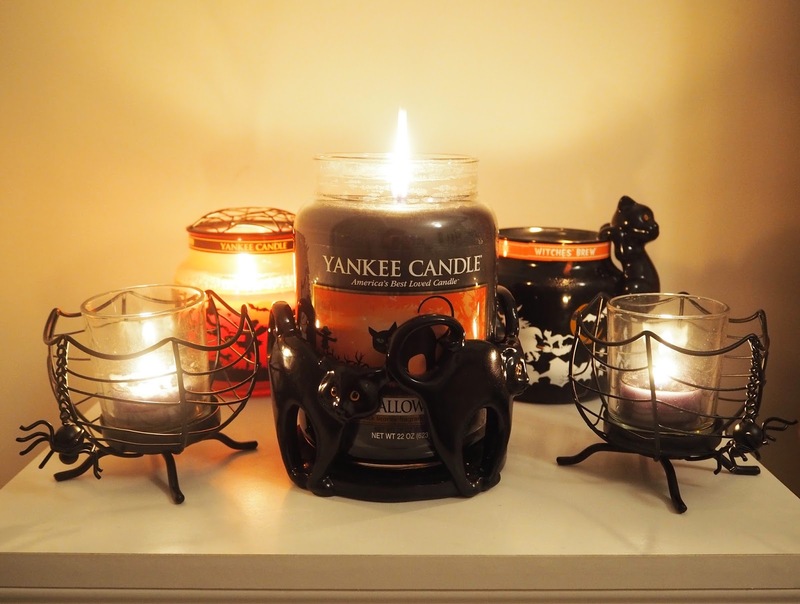 As I mentioned in my YouTube video I have a scary amount of candles! I have been asked a lot and keep planning on doing a video or blog post on my candle collection, but considering as it would take forever and a day just to get them all out I'll admit I've been putting it off! I promise it will happen eventually. I personally will burn candles all year round however I think the Autumn/Winter months are when candle burning really comes into its own. 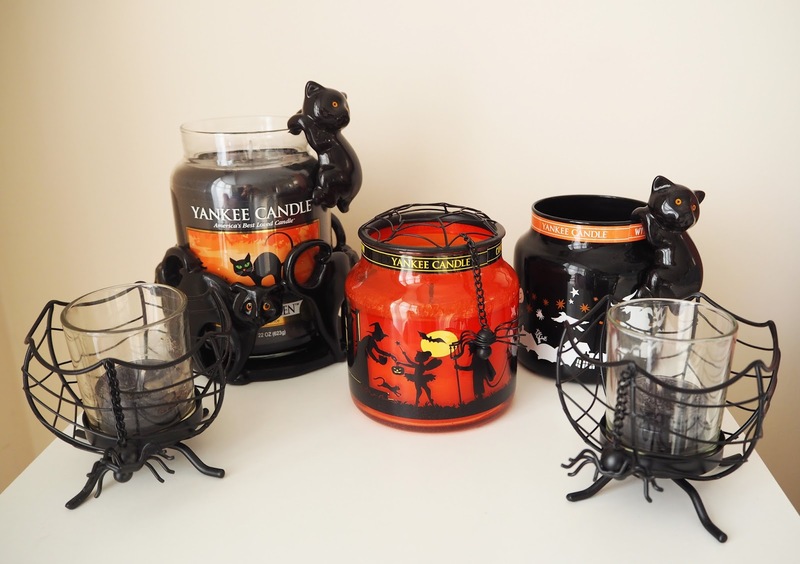 Today I'm going to share with you my collection of Halloween Candles and Accessories. I got them out at the end of September because I just couldn't wait to start burning them again! 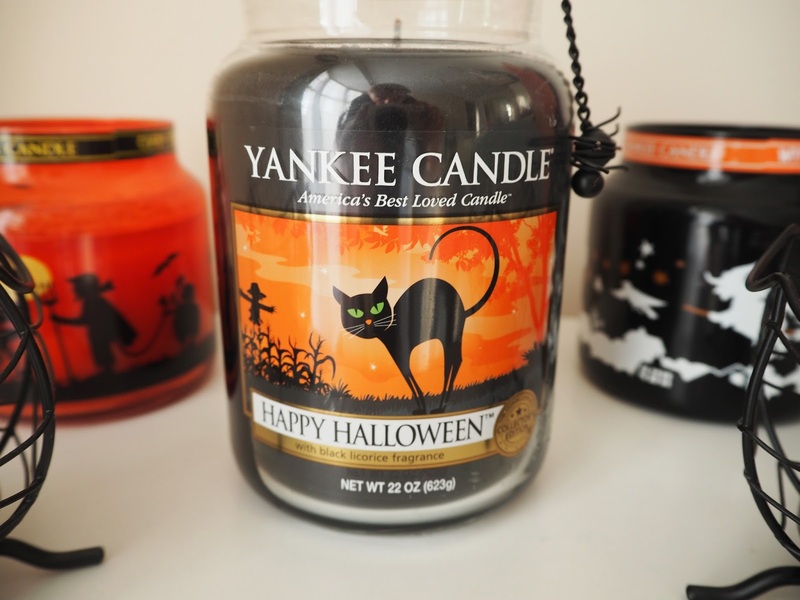 I'd really like Yankee Candle to bring over some of the Pumpkin fragrances they make to the UK! They have loads I'd love to try like Pumpkin Ginger Bark, Spiced Pumpkin and Apple Pumpkin. Now I'm not a massive fan of the taste of black liquorice, although I do remember loving strawberry laces as a kid (they were liquorice right?!). However the fragrance that's another story! 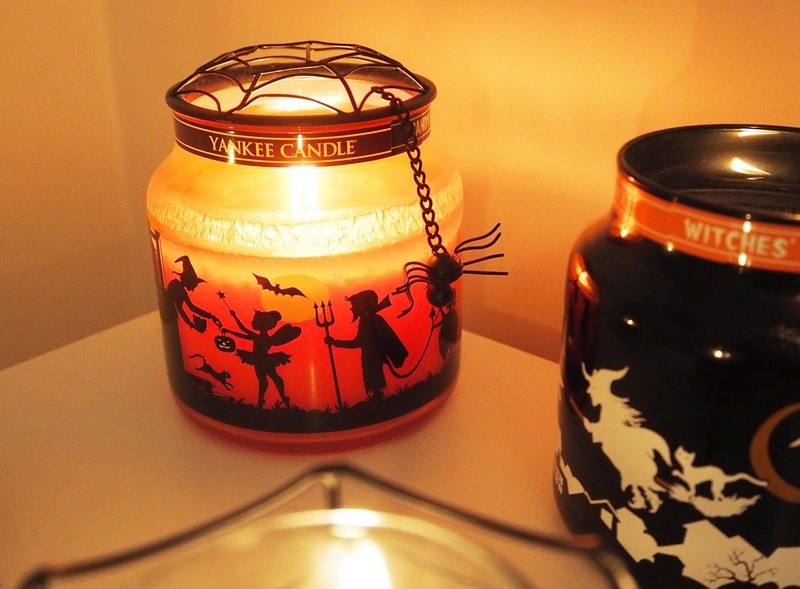 This Happy Halloween candle captures the fragrance of liquorice to perfection. It makes my room smell like a retro sweet shop when I'm burning it and I absolutely love it! This candle was limited edition last year and I managed to snap up 2 of these babies for £6 each in the sale afterwards (that was a good day!). You can still purchase it through Yankee Scents 4U and if you're lucky you might be able to pick it up in some of your local outlets. I highly recommend this candle though, it has a great throw on it and an amazing fragrance. Candy Corn is a sweet candy fragrance that is quite different to YC's Vanilla Cupcake, think fun fair candy. My favourite thing about this candle is the jar design. It's like a little story going around the whole jar and when it's lit the jar glows bright orange enhancing the look of the silhouettes! FYI all these jars are the 2014 designs, this years are slightly different but still pretty. Last year they had a scent called Ghostly Treats, which was basically Fireside Treats in Halloween costume! The toasted marshmallow fragrance of Fireside Treats is a favourite of mine and a good option for Autumn and Halloween. Ahhhh Witches Brew! I could literally burn this fragrance all year round it is just divine. Personally I usually gravitate more towards fresher and fruitier kinds of fragrances but there's something about this one I just can't get enough of. It's described as "the spicy sweet aroma of exotic patchouli casts a captivating spell!" I love how it's deliciously spicy and intoxicating without being foodie. I do love pretty candle accessories and get unreasonably excited when new ones come out. I have managed to collect a nice variety of Halloween accessories over the last couple of years. 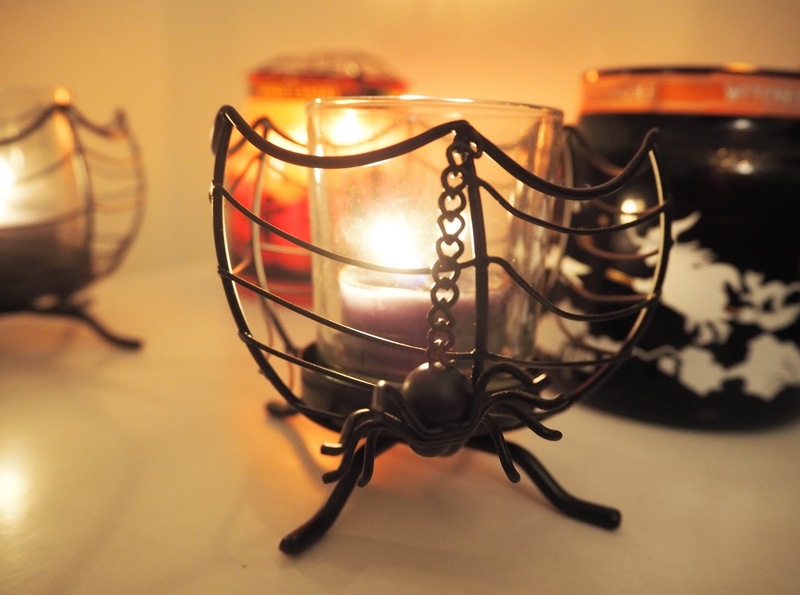 These spider web holders look so effective even without a candle or tea light burning in them. 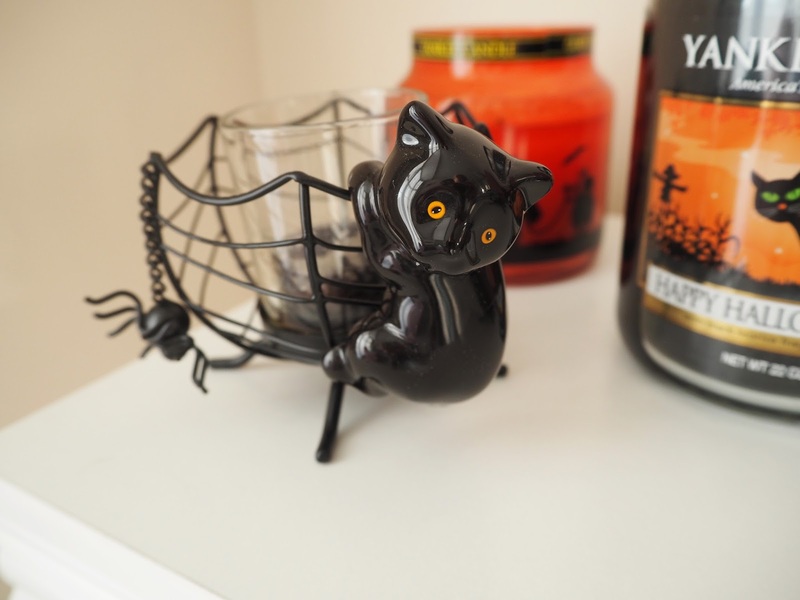 I like them just for some spooky decoration! 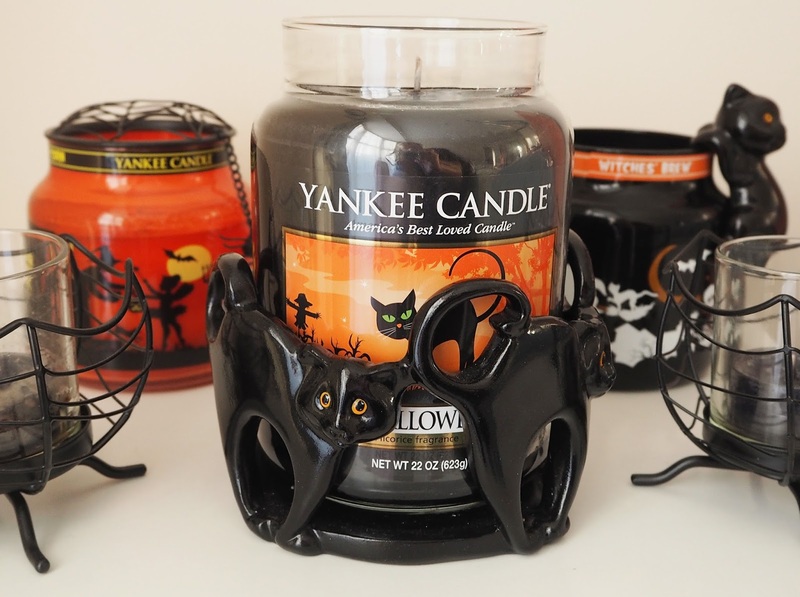 I have a matching spider web illumalid too which along with looking pretty on top of the jar, helps the candle burn more evenly. I have a black cat myself so I'm particularly fond of these black cat accessories. These little cat clingers can hang onto the sides of jars, votive holders and pretty much anything else you want! I've hung them onto photo frames before they look so cute. 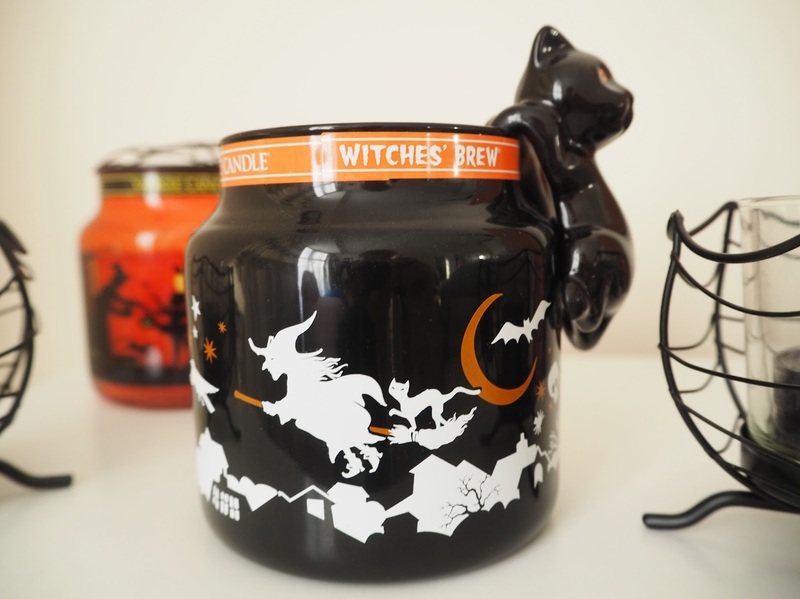 The black cat jar hugger is adorable and also acts as a heat proof surface for jar candles, so also useful. 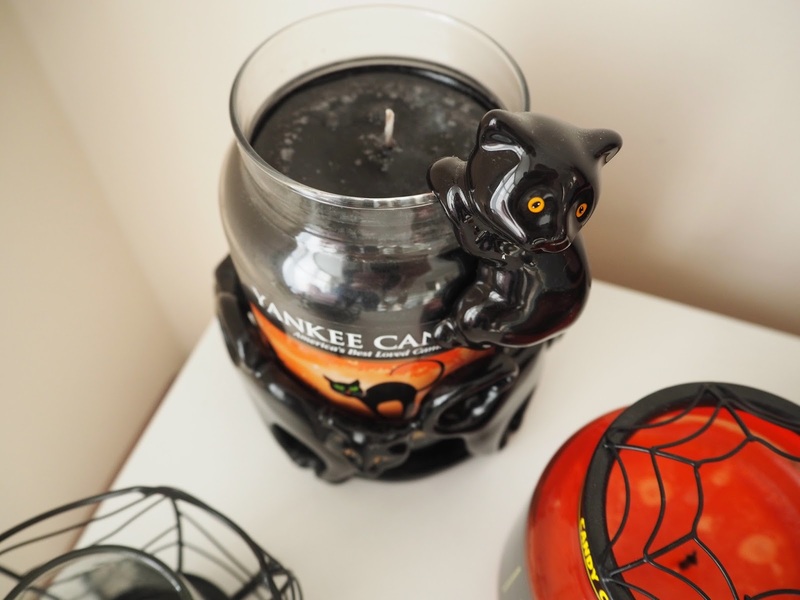 Look out for a post featuring my favourite Autumn candles within the next couple of weeks! 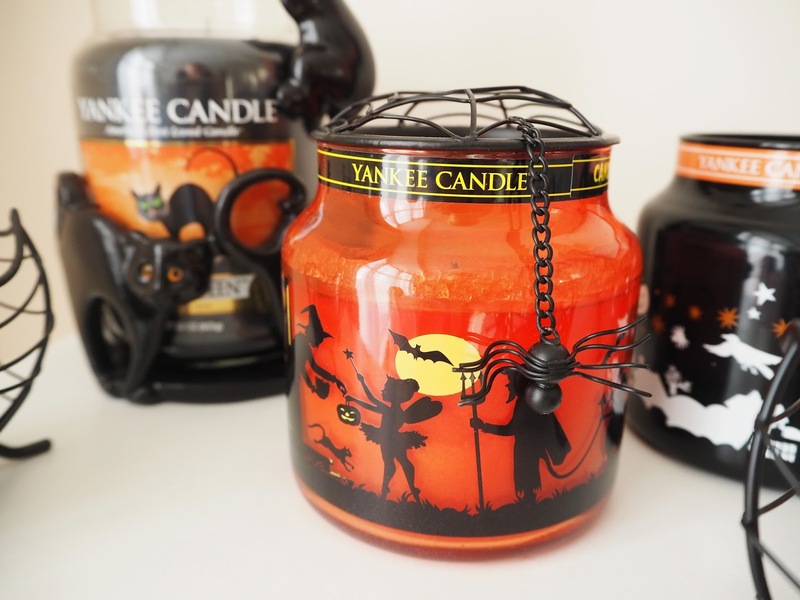 What are your favourite fragrances/candles to burn around Halloween? I would love some new recommendations!